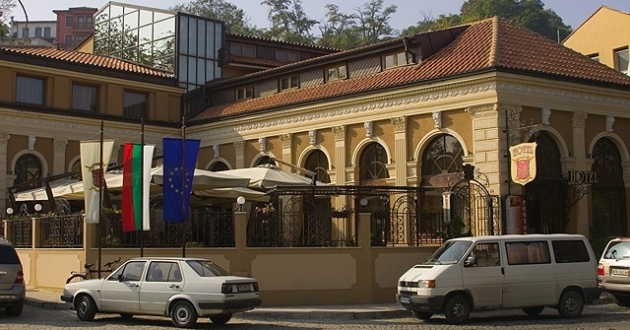 Location: Hotel Seven Hills is located in the center of the city, close to the historical architectural complex Ancient Plovdiv. Accommodation: The Seven Hills hotel disposes of 20 rooms – single, double and studio apartments. All premises has A/C, bathroom with a bath and a shower, satellite television, mini bar, a safe, external telephone communication and room service. In the hotel: Main restaurant with two halls seating 45 and 70 people, and a garden, lobby bar, room service, parking, conference room.